Since I last wrote a poem about Charybdis, it seemed fitting to try to write about her counterpart: Scylla. 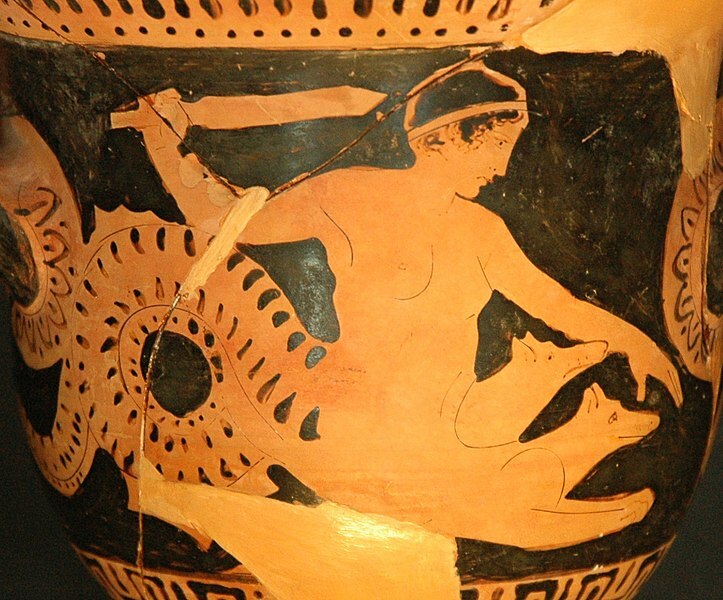 Less is known about Scylla, but the story I like the most for is she had piqued the fancy of Glaucus, a sea-god. Unfortunately for her, Circe (known also from The Odyssey), a sorceress, also loved Glaucus. When he spurned Circe for Scylla, Circe retaliated by poisoning the sea water where Scylla bathed. She was “transformed into a monster with four eyes, six long necks equipped with grisly heads, each of which contained three rows of sharp teeth. Her body consisted of twelve tentacle-like legs and a cat’s tail while four to six dog-heads ringed her waist.” Needless to say, her love affair with Glaucus ended. She took up shop across from Charybdis, and sailors had the choice of driving their boat into a whirlpool , or being grabbed up and eaten by Scylla. From there, the poem was really…country. Lots of chicken and farm references, and I don’t ever want to stick too close to the original myth, but I did want some hints of it, and all the farm stuff was really pulling away from that. So I changed “death-bitten” to “sea-bitten” and dropped off the “licks” after salt. Happy writing! I’m glad to feel like I’m sort of in the swing of it again. We’ll see if I’m able to stick with it! Next postNew poem up at Stone Highway Review! Wordsmith needs a “Like” button.